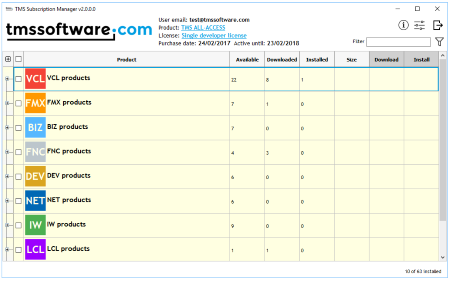 The TMS Business Subscription contains the 11 component sets listed here. Compact cross-platform logging framework offering informative log output to a flexible number of targets with a minimum amount of code..
As a recent purchaser of the TMS Business Subscription package, I can attest to the quality of the product, the excellent value for money with an all-encompassing solution and best of all, the tremendous support and patience shown by TMS Software in supporting their product. 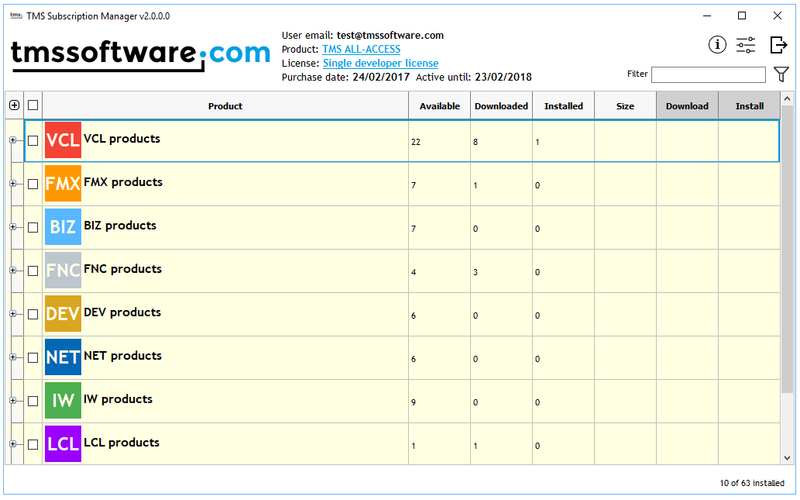 Fully functional trial versions of each part of the TMS Business Subscription can be downloaded from the separate product pages.